STRONG winds are fanning a fast-moving, out-of-control bushfire that is threatening lives and homes in Perth's south. "You are in danger and need to act immediately to survive. 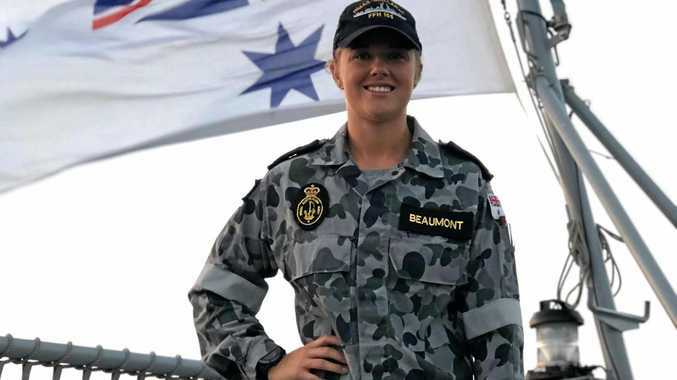 There is a threat to lives and homes," the warning said. "Do not wait and see, leaving at the last minute is deadly." The fire was being propelled by winds gusting up to 90km/h that were expected to continue into early Friday morning. 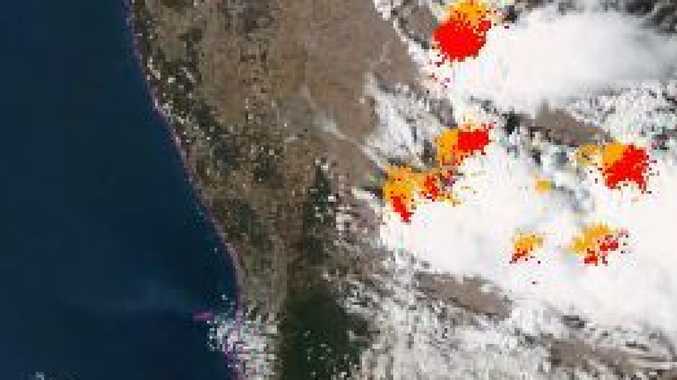 Area south of Perth currently afflicted by bushfires. Picture: DFES. 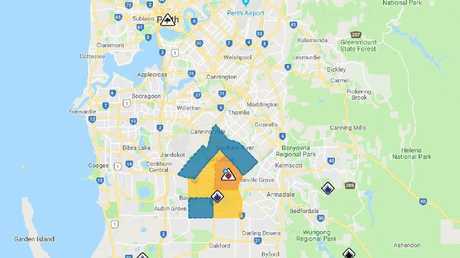 DFES incident controller Peter Sutton on Thursday confirmed minor damage to Western Power infrastructure from the blaze, which had burned 144 hectares. "Although the temperature will decrease overnight, the fuel loads and the area of the fire is of a real concern to us," he said.